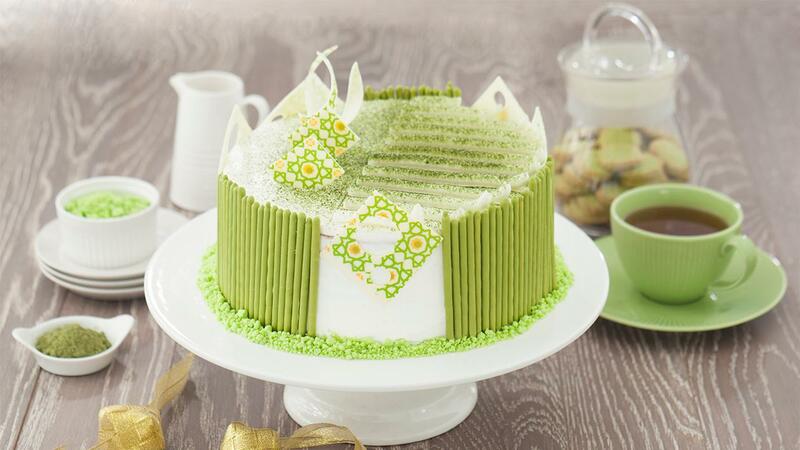 This cake is not too sweet and has a refreshing green tea flavour. Great to indulge your taste. Whisk the egg, sugar, and stabilizer, after that, add dry ingredients. Mix them all until it’s getting jelled. Add margarine that has been melted into a baking dish. Smear on all over the baking dish’s sides. Bake the dough in the oven at 180oC until it’s cooked well. Whisk white shortening and margarine. Add some simple syrup and soft cream. Mix them well until it’s getting soft. Wait the cake until it turns into room temperature and smear it with butter cream. Smear all sides with butter cream as you want to and dusting it with green tea.